At Jacksons of Enid CDJR, we aim to make the car-buying experience fun, memorable, and easy for drivers across Enid, Ponca, and North Enid! After you’ve browsed the selection of Chrysler, Dodge, Jeep, and Ram models, and you’ve even taken a test drive and found the right car, your next step in the process is getting financed! Our auto financers are to help you to make sure that you get the car you want at the price that’s perfectly suited toward your lifestyle! The last step of the car-buying journey takes place at our Auto Finance Center. Once you’ve found the model that’s perfect for you, it’s time to start talking numbers and options. Our financers can go over all of your auto loan options so you can determine the best plan to get your new car home and in your driveway! They’ll present a few different auto finance options for you to consider, and once you make the decision, we’ll bounce it off of the banks and lenders that we partner with to come up with a deal that you’re happy with. Once you sign, you’ll be ready to hit the road in your new car and embark on your first adventure! If you don’t feel that buying a new car is right for you at this time, but you’re still in need of a set of wheels, you can always lease the vehicle! Our auto finance team will go over the different terms and conditions with leasing a car at our dealership. Leasing has its own set of advantages with lower monthly payments and service benefits, and at the end of your lease, you’re free to walk away, buy the vehicle out of the lease, or even lease an entirely different vehicle! Getting an idea of your options can be very helpful prior to your visit. 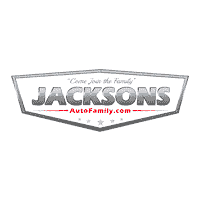 At Jacksons of Enid, we have a few tools on our website that you can use to get a better sense of what you’ll be looking at in terms of the deals, rates, and expectations. Our Payment Estimator can give you a ballpark figure of what your monthly payments will look like based on the price of the vehicle you want, your down payment, and the interest rate.You can get a head start on your auto financing by filling out our Credit Application. You can save yourself a lot of time by filling out this form. All of your information is protected because this form is encrypted. Once you submit the form, our financiers can get started on the paperwork so when you arrive at our dealership to complete the deal, the auto financing and loan process will be quick and easy! Get Started at Our Auto Finance Center Today! When you decide that it’s time to find your next car, whether it’s a Chrysler, Dodge, Jeep, or Ram, you can rest easy knowing that our auto finance team at Jacksons of Enid CDJR is here to help you. You now know that you can get started on your financing right now, so start browsing your options today and come in for a test drive. Then, you’ll be ready to get financed! Not sure where to start? Check out the 2019 Jeep Wrangler configurations to find out if any of them suit your driving needs. At Jacksons of Enid, we’re proud to help drivers in Enid, Ponca, and North Enid for when it’s time to find and finance their next car. Contact us today to get started!